Thursday saw three by-elections take place across the country with two Labour seats and an Independent seat up for grabs. With the resignation of the Independent councillor, Coxford Ward was up for grabs with eight candidates battling it out. Sam Chapman and Southampton Lib Dems put on a great campaign opposing more tax rises and service cuts from the Labour council and putting forward some great ideas to improve the city’s air quality and environment. Unfortunately, it wasn’t to be for Sam, but the success of the campaign shone through as the Lib Dem vote share increased by 14.7%. Well done to the team on a great result that leaves the party in great stead for the next round of elections this May. 70 days to go to the local elections was celebrated in the form of two by-elections taking place across the country on 21st February. Three by-elections took place over the country last night with Lib Dem candidates spreading the word and standing in all by-elections. 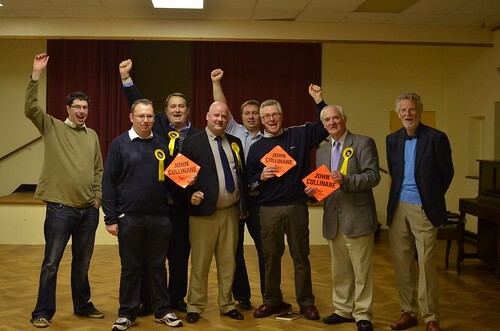 A quiet night saw a Lib Dem hold and a couple of tough results. Louise Harris and the South Gloucestershire Lib Dems ran a great campaign to hold a seat in a close battle with the Conservatives. With UKIP not standing, a large proportion of votes were up for grabs and Louise and the team put in a great shift to gain 8.4% of the vote share. A great showing in an area that has lots of potential for a liberal future! There are over 8,000 wards to fight in the 2019 local elections and we have the potential to make a lot of gains. To wake up on Friday 3 May to a great set of results, as a Party, we need to be actively campaigning now. Congratulations to David Beavan and team on a stunning win in Southwold and Reydon. Congratulations to David Bevan and @Waveney_LibDem. Lib Dem GAIN from Conservatives! This was a by-election for Waveney council caused by the sad death of Conservative councillor Sue Allen. We won all three seats in the deferred election for London Bridge & West Bermondsey! Congrats to all three top candidates! Many congratulations to Humaira Ali, William Houngbo and Damian O’Brien on being elected to Southwark Borough Council in the new London Bridge & West Bermondsey Ward. This election yesterday was delayed from 3rd May following the sad death of Conservative candidate Toby Eckersley. Well done to the local Southwark team on achieving this great result while also helping in our very strong showing in the Lewisham East by-election. This result means that, overall in Southwark, we made a net gain in seats for this year’s elections. There were two by-elections in Thatcham West, Berkshire today.One was for West Berkshire Council, caused by the disqualification due to non-attendance of a Conservative councillor. The councillor in question also resigned from Thatcham Town Council causing a second by-election on the same day. In the Thatcham West by-election the turnout was 34.3% 1,702 votes) for the election of a district councillor and 34.2% (1,693 votes) for the election of a town councillor. In total, 4,957 people were eligible to vote. Ever since the 2015 general elections, knocking on doors has been difficult; almost a chore. I can’t say that residents were abusive, but they were certainly challenging, very direct and uncompromising. I remember at the conference after the 2015 general election we had one of the largest attendances ever, and the general atmosphere was very positive. This was all the more unexpected because of the media’s scorn for the party (which was very unfair) and the loss of so many MPs. The attitude of my friends who supported me and the party changed. We had many discussions where they were critical. When I asked them why and then presented facts which in most cases proved their arguments were baseless, the poor attitude towards the party remained, although they conceded the point. Many congratulations to Dr Kate O’Kelly and the team for a superb win in the Rogate by-election for Chichester District Council yesterday! This was the first time that the Lib Dems have contested this seat in eleven years, and my goodness what a stunning performance going from zero to 55.8% of the vote! This week has seen eight principal council by-elections across the country with Lib Dem candidates contesting six of them. Yesterday we had the best by election result in Wandsworth for the Lib Dems in many a year. A solid third place with 10.6% may not look like much, but it is a significant and positive step. It shows that the EU referendum has given the party a new opportunity. It also shows that contesting “hopeless” elections can be fun, and you can learn much in the process. Why I am so pleased? I have been part of the Wandsworth Alliance/Lib Dem scene since 1984 – pretty much the moment that fortunes turned against us. We have always been the underperforming local area. Neighbouring Lambeth, Richmond and Kingston moved on to great things; even Merton and Hammersmith achieved the odd breakthrough; we had no electoral success whatsoever. In terms of members and money we were never especially weak by Lib Dem standards, but we struggled to make any impact whatsoever. Unless we committed heroic amounts of effort (notably Graveney ward in Tooting from 1966 to 2010 – hanging on to a second place) activity generated no noticeable impact in votes cast. The Association of Liberal Democrat Councillors (ALDC) has been a fundamental engine of Liberal Democrat growth. Now, more than ever, they have a crucial role to play in helping to lead the Liberal Democrat fightback. And they have recently stepped up to the plate in spectacular style with their By-election HQ. This is a newly launched service which is a one-stop go-to website for all of us to find out information about council by-elections across the country. These are an essential way for the party to grow back. Two council by-elections have just been called in the Hornsey and Wood Green constituency. And – I’m pleased to say – I’ve been selected as the candidate for one of them. It’s not the first time I’ve been involved in a Lib Dem campaign. I stood as a London target ward candidate in 2014, and then I ran Lynne Featherstone’s General Election campaign. Since then, I’ve helped Tim’s leadership campaign. Now, I’m ready to take on this one. Here’s why. Firstly, both wards are currently represented by a Labour-run Council and a Labour MP. Congratulations to Councillor James Gibson-Watt! Very well done to James and all the Brecon and Radnor team! Two principal council by-elections were held last Thursday. The Lib Dems in Cambridgeshire (CC) narrowly missed out on holding their seat in Romsey ward, falling 47 votes short of Labour. LD candidate Nichola Martin polled 35.2%, a decrease of 12.7% from the ward’s last election two years ago. There were three principal Council by-elections this week in Oxford, Shepway and Surrey Heath. In Carfax ward (Oxford City Council) Labour held on with 168 votes (44.2%; +15.6%). Tony Brett, the Liberal Democrat candidate who finished fourth in May’s local election, came a respectable second with 101 votes (26.6%) and increase of 9% since May. The Green Party slipped from first in May to third on Thursday with 16.6% (-14.2%). The Conservatives and UKIP both polled 24 votes (6.3%). Congratulations to former Lib Dem Voice editor Andy Boddington on a resounding victory in the Council by-election in Ludlow North! Andy is the man in the hat – as always. Three cheers to Michael Gee who gained Dalston in Carlisle from the Conservatives last night. The Lib Dems also held local council seats in the South Lakes and Luton. Congratulations to Annie Rawlinson and Clive Mead. The Liberal Democrats have gained five council seats and retained all three of their previously-held seats in the raft of council by-elections they were contesting yesterday. In Wallsend, North Tyneside, Michael Huscroft gained from Labour with 58.2%, or 1158 votes. David Siddans won in Rossett, Harrogate Borough Council, with 48.9% of the vote (897), in a 25.6% swing from the Tories. The Liberal Democrats have held on to the Waterside seat on North Norfolk District Council in a by-election caused by the resignation of former council leader Simon Partridge. His place is taken by Paul Williams, whose 494 votes edged out Conservative Paul Rice who polled 410 in a six-way fight that saw a turnout of 42pc in the ward which covers Catfield, Potter Heigham, Ludham and Hickling. Labour’s Denise Burke was third with 246 just ahead of UKIP’s Jeffrey Parkes with 233. 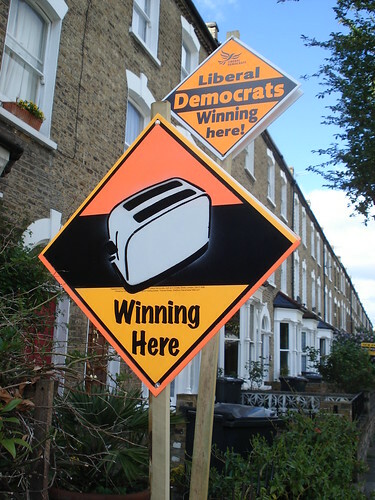 Almost a clean sweep for the Liberal Democrats this week, winning five out of the six local council by-elections. There were three gains and two holds by the party, and in Castle ward, Cumbria, there was actually a swing towards the Lib Dems, although the party lost the seat to Labour. The Liberal Democrats have secured an overwhelming vote of confidence from Eastleigh Borough residents in a Hedge End by-election that took place yesterday. Liberal Democrats made two landslide gains from Tories in the latest council by-elections, suggesting their voting support has not been dented after the resignation from the Government of Chris Huhne. Their candidate Chris Lofts took Northamptonshire County Council’s Towcester division on a massive swing of more than 30% since the 2009 shire polls. Party colleague Lisa Samiotis triumphed at Towcester Brook, South Northamptonshire District. This brings the total of Lib Dem gains this month to three, after a win from Labour last week. Percentage change is since May 2011. Labour elected at Stage 5. Full by-election info and commentary at the Association of Liberal Democrat Councillors.